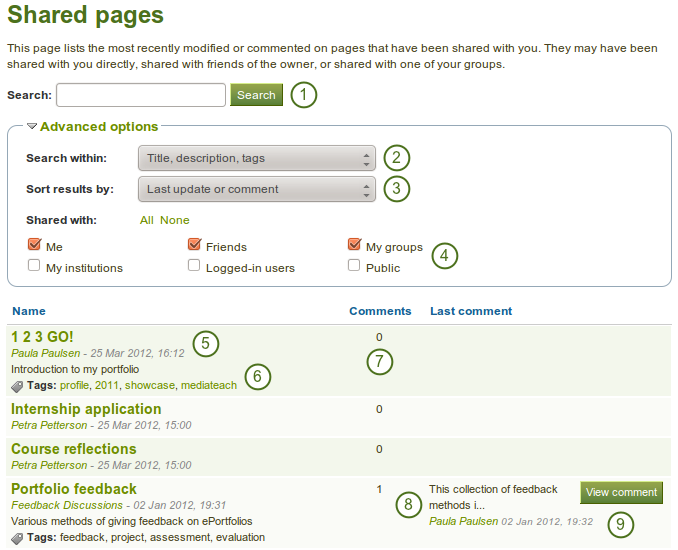 The Shared pages are a quick way to find the pages that you may be most interested in. The title and author of the page are linked for you to jump to them quickly. You also see when the page was created. The description of the page as well as the tags are displayed if the author provided them. The beginning of the latest comment on the page as well as its author and the date are displayed. By clicking on the View comment button, you can read the entire comment.